Click Here to Find a Travelling Caravan! In the old days of the frontier a caravan meant safety. It meant that all that mattered in the world to a family was on the move, and the best way to get there was with friends at your side. Today that same security, and the necessity of sometimes needing to bring everything that matters with you on the long road remain among the pillars upon which the Grand Caravan is built. With 81 available seating configurations this vehicle has to space to have you and yours find safety in numbers wherever you are going. When the time comes to hop aboard your Dodge Grand Caravan near Guelph, we hope that you will come and see us at Stockie Chrysler first. We are the area's best provider of all things Dodge. We aim to help you in picking out your next vehicle near Guelph with an approach that is low pressure and high information. Working with you, we will prune down the choices and find the Grand Caravan that best fits your lifestyle. If this kind of customer first service sounds like your kind of thing, please come see us at 150 Weber St S. in Waterloo, or give us a call at 855-292-1969 to book your test drive today! We're pleased to give back to the people and places in our community. Purchase your Dodge Grand Caravan with Stockie Chrysler and help us give back! When you are talking about the exterior of the Grand Caravan you might be inclined to just talk about its extraordinary look. It's lines and aerodynamic design are potent in their execution, but the real all stars remain the various power features. From the power lift gate that opens the trunk with a swoosh of your foot to the available power sliding doors making 'slamming' a thing of the past, this is one minivan that has the power to handle just about any situation! Test-drive the magnificent Dodge Grand Caravan near Guelph at Stockie Chrysler today! While, yes, the Grand Caravan has a cadre of incredible technologies like the available Super Console that serves as a command center for the car's many features, but where the Grand Caravan really shines is just how flexible the whole thing is. With 81 different seating configurations and rear in-floor Stow 'n Go storage, unless you are trying to fit another Grand Caravan in the back seat you probably have room for whatever it is.you need to bring with you . When it comes to the historic caravan, the secret to their safety was the number of travelers in the caravan. That wisdom has been transposed to the Grand Caravan in the form of seven airbags that surround the interior cabin of the minivan. No matter where you go seven friends have got your back should the worst happen. It also features a step up from the horse and buggy in the form of standard Electronic Stability Control and Antilock Braking. Together they make it so that no matter the conditions you are in, you have complete control of your vehicle. 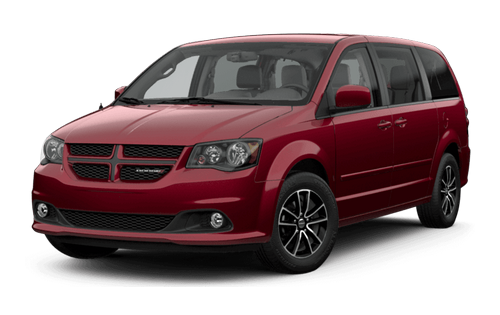 Time to Sign you up for a Grand Caravan! At Stockie Chrysler we are the place to get a Dodge Grand Caravan near Guelph. Not only are we just a short jaunt away, but we remain the area experts on all things Dodge. Our sales team work hard to separate the wheat from the chaff and have you walk away with the Grand Caravan that is the perfect set up for you and your lifestyle. Our expertise and enthusiasm are hallmarks of Stockie's approach to sales, and we promise you will leave our showroom happy, and most likely behind your dream car, so come and see us today! Fantastic customer service & salesmanship from Zoran. Never felt pressured. Would HIGHLY recommend. Great Service Experience! We recommend it to anyone. Will definitely be going back! Dave was awesome and even washed my truck!